It was an awkward moment. I had preached that morning with heartfelt commitment to the Christ-centered focus the text offered. And beforehand I had prayed for God’s gracious presence to be among us touching hearts. But my talk clearly missed the mark for at least one member that morning. And who knows for how many others like her. But I wasn’t surprised by anything but her fire. She was right: the “applications” for my talks always amount to a relatively brief invitation to seek for more; to taste and see how good the Lord is whom we saw and heard in the message. And it’s not an oversight. I like to leave room for the Spirit to spend time with his followers, to offer his own applications. What’s the point? Just this: the church is divided between those who treat saving faith as a response and those who take it to be a responsibility. I preached from one side of this divide and my friend from the congregation was looking for benefits from the other side. This division needs some notice, especially because I know I’m in the minority and I’d like more companions. But the responsibility-promoters have huge momentum on their side. Think, for instance, of the formidable and godly figure of Moses. He issued hundreds of commands meant to direct an entire nation on God’s behalf. Given the failed love of Israel Moses was a fountain of responsibility-based edicts meant to keep them in line. And that experience produced a huge trove of responsibility-centered lessons. Added to that we find James in the New Testament who calls readers to good works because “faith without works is dead” (James 2:8). As God’s servants we must need God-like pastors to direct us into these works. That said, James offers a disappointingly brief list of behaviors to follow: visit orphans and widows and don’t be stained by the world. So for the throngs of responsibility-focused preachers Moses remains the real star. A sophisticated preacher from this camp is able to expand this list by switching the negative “you shall not” commands of Moses into more expansive “you shall” duties—as in “you shall not commit adultery” being swapped into “you shall always be faithful to your spouse.” We can’t help but agree, of course. But we soon have a flood of duties that bright ministers use to shape all those who want to be trained in forms of godliness—even if the intrinsic power of love may be missing. Preaching, then, turns into training and directing—into spiritual formation. Along with this flood of pastoral directives comes the buttressing work of all the counseling and self-help guides that instruct us in “steps-to-success-with-God”. If the weight of numbers is any measure of truth, the responsibility-clan wins the debate hands down. So what is a response-based preacher left to say? Just this: listen to what the Bible actually offers us. No one can hear God’s heart apart from the Spirit (1 Corinthians 2). New birth—the coming of the Spirit to live within us—is the only “how to” that makes a difference in us (John 3 & 2 Corinthians 3). If we want real a transforming application, listen to the Spirit. He’s very good at speaking effectively to morally deaf souls. And only by his stirring will any authentic works of God appear, happily displacing what Paul called the works of the flesh. Is that radical enough? Without the active presence of the Spirit in a Sunday morning listener’s heart no preacher stands a chance of making that person into more than a nicely polished Pharisee. So in preaching do I want to cultivate compliance, or to invite listeners to Jesus who offers us “rivers of living water” by his Spirit’s coming into our hearts (John 7:38-39)? You’ve heard my vote. Did James—since we mentioned him above—grasp this? Yes! Read James 3:11-12 where he embraced his half-brother’s teaching about good fruits that come only from good trees (Matthew 7:15-20). True spiritual change only comes from the inside-out, not the other way round. And what about Moses? His work was to ride herd on a throng of mostly-unbelieving Israelites—see Hebrews 4 for a wry assessment of that clan—so his laws were boundaries among unbelievers. It’s certainly not “faith working through love” (Galatians 5:6). What was the real contribution of Moses, according to Jesus? His invitation to love God and neighbor. And how is that invitation fulfilled today? Only by God who pours out his love in our hearts through the Holy Spirit who has been given to us as a free gift. Apart from him “we can do nothing”; and “we love because he first loved us.” Somehow it all comes back to God’s initiative. So, as the angry lady walked away from me that Sunday I could only pray, “Lord, please let her hear your heart: I know how much you love her.” I knew I didn’t meet her needs. But he can. Thanks for this Ron. Thought provoking. But what does this mean for our “application” as preachers? Should we or should we not give examples of what it means to love our brothers and sisters when preaching 1 John 4, for example? What about preaching on Ephesians 4:25 – do not lie to your neighbour? for goodness sake’s thank you, and keep on praying! Though the responsibility-as-Christianity crowd is everywhere in western Christianity, there are lots of glimmers of hope in the majority world. I have had the privilege of worshiping and praying with amazing pastors from Sri Lanka, India, Bhutan, China, Fiji and the Solomon Islands who live by faith. I have learned great things from humble men. Be encouraged, Ron! There. Are many more response people out there that neither write nor read the how-to books of church. A quick thought on your comment, Jonathan: the Bible does, indeed, coach us in how to respond. The Spirit moved Paul to fill out the implications of Ephesians 1-3 in chapters 4-6 (a pattern Paul uses in his other writings). My point is for us to avoid taking the Spirit’s role in (trying to) shape believer’s lives; and to then turn the Bible into a utilitarian instrument in self-improvement. So I wanted to ask how to keep in step with the Spirit (per Galatians 5) over against trying to imitate/replace the role of the Spirit. 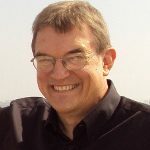 Take a look at Peter Mead’s surprisingly similar blog for this week at the Cor Deo site (One Bible, Three Roles) for more. We don’t compare notes when we write, by the way! I spent 6 hours listening to you talk about God’s spreading goodness at church and just finished listening to the podcast of your talk on Mercy. Now I’m reading this article and see that I was the angry lady you wrote about, minus the anger. For so long I lived my Christian life (I’ve been a believer almost as long as you, but obviously have not lived it as wisely as you) clinging to anything that tells me how to live that life. Always looking for the rules, the principles, the 3 steps, etc. And of course expecting those around me to live by all that too. God opened my eyes just a few months ago, to the futility and sadness inherent in that way of life. Since then I’ve experienced Joy in such measure that “my cup runneth over” seems like an understatement. What I’ve heard and read from you these last 3 days would have breezed right past me before my epiphany. Instead, they were a long drink of cool, living water. Thank you for evangelizing the church. We need it! I’m so delighted to hear your response! Thank you, my friend. And may your joy in Him continue to prosper!